The .270 cartridges were developed by Winchester in 1923, but it wasn’t released onto the market until 1925. The bullet was specifically intended for the bolt-action model 54. When you really sit down and look at the specifications and performance of this bullet, it only makes sense that individuals would want to utilize the .270 for their guns. Even compared to other cartridges on the market, this bullet can true offer specifications that cannot be matched, but what is the best scope for the 270? When the cartridge was first introduced on the market it was specifically intended for use with the bolt-action model 54 rifles. However, in today’s time, you can find these cartridges compatible with bolt-actions, single-shots, lever-actions, pump-actions, autoloaders, and even double rifles. This means that there is no a wide range of scope that is used in conjunction with this cartridge. The .270 has gained worldwide popularity and it really is easy to understand why. Most other hunting cartridges on the market usually fall off the face after their first couple of years on the market, but that is not the case with the .270. If anything it has only grown in popularity as time has gone on. There is no doubt about it that .270 is extremely accurate up to a maximum of 500 yards, and at this yards is truly has the power to pack quite the punch. It can easily drop an antelope or elk at 300 yards with ease. This is the kind of distance that any big game hunter needs when they are looking to take down their prey undetected. It shouldn’t come as a surprise that the right scope will feel good in your hands and give you the shooting power of the pros. However, before you get too excited, you need to know exactly what you can expect out of your .270 cartridges. Since the .270 cartridges can be customized and used with a variety of different rifles these ranges can vary. Barrel length along with the shooter’s ability can make all the difference in the world. Keep in mind that the magnification of the scope play a factor as well. This is why when shopping for a scope for 270 Win, you need to know the best magnifications possible and that is what you are going to learn below. It doesn’t matter if you are a pro or you are just starting out there are still going to be a lot of environmental factors that affect your long-range shooting abilities. The type of rifles you are using in combination with the wind can make it hard to nail the more difficult shots. Setting the right magnification for the right ranges can also make a difference. You always want to make sure you have the magnification of the scope set to the right range. So, what are the best magnifications for your .270 cartridges? When it comes to shooting long-range, even the type of target that you are shooting at can play a major factor. Smaller targets need a scope that can provide better clarity and higher magnifications, whereas larger targets don’t require these attributes. That being said, the best magnification for a .270 at 500 yards should be anywhere from 8x and up. A 40-millimeter lens with a reflective system will also help battle unwanted lighting conditions. Most individuals that use the .270 cartridges are extremely comfortable when it comes to shooting at medium range distances. With the impact power of the .270, you can take down some really big game at this range. However, you will probably want to set your scope at anywhere from 4x to 8x. With the accuracy and power of the .270 cartridges, most hunters won’t have a problem nailing their targets. Just keep in mind that you will want to decrease your magnification to anywhere from 3x to 7x. At the end of the day, the best scope for you is not only going to feel good on your rifle, but it is going to offer you the magnifications that you need for your typical shooting ranges. Just keep in mind that some environments can be completely unpredictable and that is why you also want to opt for a scope with versatile options. Some days you might need a reflecting lens to battle the sun and some days this feature might be completely useless. In order to better help you with your search for a scope, below you will find a list along with a comprehensive review of the best scope available for the .270 cartridges. Nikon and Buckmaster are both two extremely popular riflescope manufacturers. Over the years their products have grown to be associated with quality and dependability. This is why avid hunters were so excited when they learned that the two companies would come together and collaborate on this new innovative scope. It is safe to say that both companies really knocked it out of the park with the creation of the Nikon Buckmaster II 3-9×40 BDC Scope. 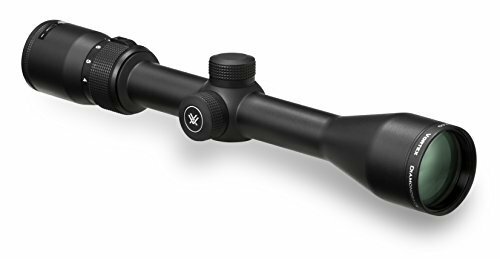 With its sleek and lightweight design, this scope is not only easy to handle, but it looks great in any situation. When it comes to making that dream shot you won’t have a problem making it. Whether the sun is shining in your eyes or not, you will be able to achieve that shot thanks to the anti-reflective system with the multicoated lens. In fact, the lens can reflect as much as 92% of the sun glaring rays, which will provide you with the clear visibility that you need to nail that impressive shot at any range. 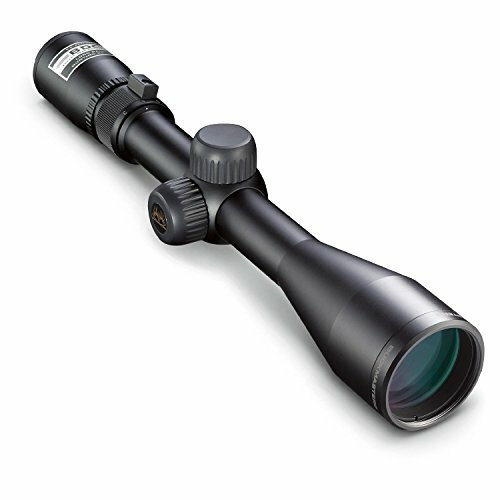 The most impressive thing about the Nikon Buckmaster II 3-9×40 BDC Scope has got to be the lifetime limited warranty. The whole time you own this scope if you experience any defects or malfunctions all you have to do is contact the manufacturer and they will either repair or replace the scope. This should show you just how much these two companies believe in the product that they have created. This is not something that you will find included with every scope out there on the market. And, this is really one of the most impressive features that make this scope stand out amongst the crowd. With its lifetime warranty, waterproof, fog-proof, reflective properties, and lightweight design, you are truly looking at one durable and versatile scope that will stand up to the test of time. If you are in the market for versatility, you will probably not find anything more versatile than the Diamondback. 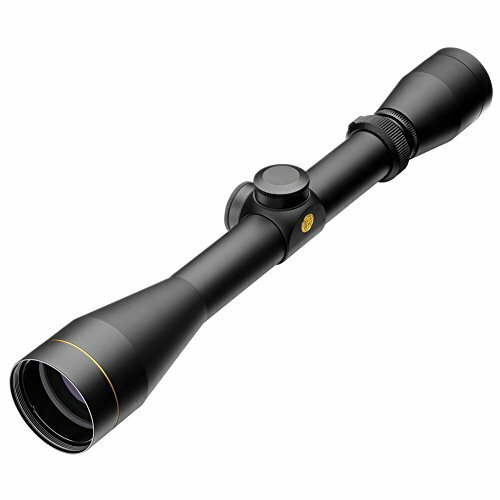 With its 4-12×40 configuration, this scope really offers everything that you need to hunt big game or take out small varmint. In addition to this, the scope can be utilized on a variety of muzzleloaders, slug shotguns, and long-range riles. Whatever the situation or your preference is, you won’t have a problem achieving your goal with this innovative rifle. Anytime you invest in a scope you want something that is durable, and that is exactly what you get with the Diamondback. The solid one-piece tube is constructed of durable aircraft grade aluminum. The rifle comes equipped with a BDC reticle that really makes it stand out. BDC stands for bullet drop compensation and it really takes all the guesswork out of your shooting game. Hunters no longer have to manually adjust their elevation for longer-range shots. Instead, thanks to the impressive BDC reticle all they have to do is line up their shot with the reticle that matches the distance that they are shooting. After that, it is just as simple as pulling the trigger. When you sit down and look at everything the Diamondback has to offer, it isn’t hard to see why more and more hunters are investing in this scope. Whether you are hunting big game, small game, or just defending off predators, you won’t have a problem doing so with this scope. One of the best choices for AR-10 as well. If there is one thing that can be said about the Leupold VX, it has got to be that it is extremely compact. The compact and lightweight design of this scope really makes it a true joy to handle in a variety of situations. While the scope is perfect for just about any situation imaginable, you can easily and quickly make the adjustments that you need to nail your shot from several distances. The ¼ MOA precision finger clicks adjustment dial makes adjusting for wind and elevation easier than you could ever imagine. Just simply take your finger and make the proper adjustments without taking your eye off your target. The patented sealing process used by the Leupold Company ensures that the Leupold VX will stay waterproof and fog-proof in any situation that you encounter. You don’t have to be an avid hunter to know that the lens is without a doubt one of the most important components of any scope. Without the right lens not only will you not be able to spot your target, but the sun and rain could completely throw your shot off. And, that is why the Leupold VX is equipped with a multicoated 4 lens. This lens provides extreme clarity from edge to edge and gives you a clear picture of your target even in low-light conditions. With a weight of just one-pound and such a compact design, most hunters might be fooled by the appearance of this little scope. However, the Leupold VX comes equipped with some of the features and abilities that would on be found on the most expensive products on the market. The viper is built on a 30-millimeter tube that is constructed of hard anodized aluminum that provides completely durability is a variety of undesirable situations. The parallax adjustments are not only easy and quick to make, but as you are making the adjustments you can visibly see the number in the scope, so your eye never has to leave your prey. You will always know the adjustments that you are making and you will be able to make them in a matter of seconds, so you can adapt to your environment and shooting conditions. Equipped with a fast focus eyepiece, you can easily and quickly focus the reticle on your prey while making rapid magnification adjustments. 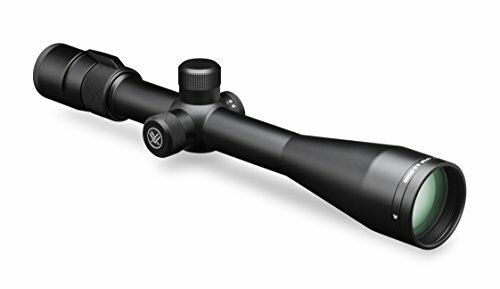 Whether you are a big game hunter or just hunting varmint outside the house, you will be able to achieve success with the Viper Scope. With the 6.5-20×50 configurations, you will be able to choose a configuration that suits your shooting needs. O-ring sealed, argon purged, quick adjustments, accuracy, and performance that is off the charts. What more could you really need from a scope? There really is much more than the Viper Scope needs. In fact, it is almost perfect for just about any situation imaginable. For night vision shots, check our night vision optics reviews.